Statement by Jignesh Mevani Against Kerala Police Brutality on Dalits who were protesting against Caste Wall. Today the incident happened in Vadayambadi Kerala is condemnable, the approach is shown by Kerala Police towards Dalit protesters clearly depicts where the Kerala government stands. Mr. Pinarayi Vijayan, Kerala cm should answer to the people on what ground the protesters were brutally suppressed. 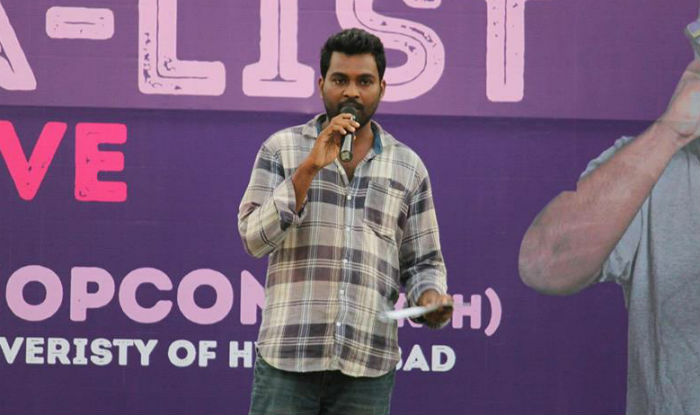 Vadayampadi Dalit self-pride convention is organized by the Dalit land right front against the police raj and Dalit atrocities related to the issue. The conversion is also against caste wall constructed by the upper caste organization NSS. The police unleash its brutal suppression against the protesters those who democratically and peacefully protested. At the same time, the violent mob organized by the Hindu aikyavedi and RSS was given safeguard by the same Kerala police. It shows the Kerala government has made an alliance with Sangh Parivar and hindutva fascist force. We are compelled to say that Left Government is having an unholy alliance with the hindutva fascist which every Dalit, Left and progressive forces of the country should oppose and condemn. At a time when a unity of different progressive forces against Hindutva Fascists need to be forged such action from Left will not only make Dalit – Left unity a reality rather it will make it a disaster. Today, hundreds of Dalit protesters gathered in Vadayampady village of Kerala for ‘ Dalit Self Pride Convention’ against casteist discriminations and caste wall. Meanwhile, RSS and Hindu Aikyavedi goons attacked the protesters. The violent mob organized by the Hindu aikyavedi and RSS was given safeguard by the police. The police also brutally attacked and arrested protesters and journalists covering the demonstration. Four journalists who were reporting have sustained injuries, and Nimisha Tom, DoolNews Reporter has been arrested. Kerala Police has forcefully removed Dalit activists from the area and has threatened to arrest anyone gathering there. Police have already managed to terrorize people who gathered in support of the protest. The police action has invited severe criticism. District Authority has denied permission for the Dalit Self Respect Convention scheduled for today at Vadayambadi Bhajanamattam. Along with a ban on “outsiders” Magistrate has also ordered for the arrest of outsiders if they are found at Vadayamabadi. Three police vans have been deployed at Vadayamabadi for the same. For the past 10 months, Dalit leaders have been doing the protest by 180 Dalit families in Vadayampady village of Kerala’s Ernakulam district to reclaim their right of way through land adjacent to a temple run by upper-caste Nair Hindus. The Dalits insist that the plot claimed by the Nair Service Society, a community organization that runs the Bhajana Madam Devi Temple, is actually public land. Be the first to comment on "Kerala Left Government is having an unholy alliance with the Hindutva fascists , Jignesh Mevani says"